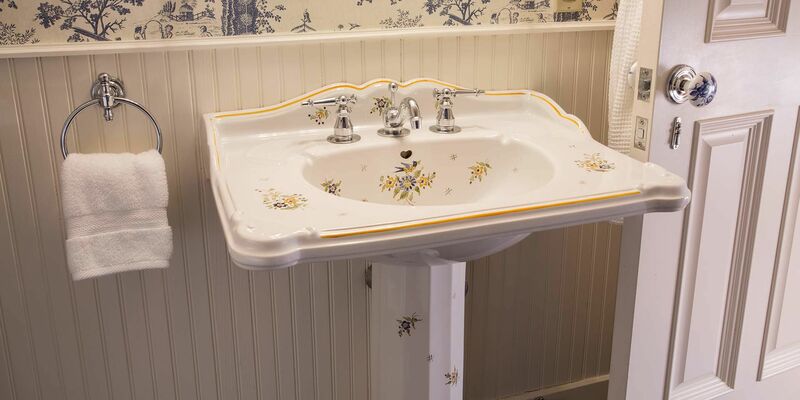 French Provincial is a highly regarded choice among Cliff Walk accommodations in Newport, RI that mimics the comforts and styles of the French countryside with a soft floral palate that is complimented by rich navy and white. 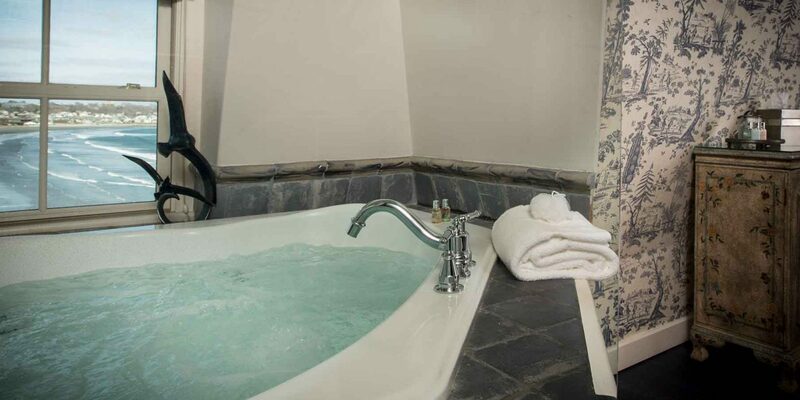 Our accommodations feature exquisite amenities including a large Jacuzzi tub overlooking the Atlantic Ocean and Easton’s Beach. This expansive bi-level accommodation in Newport featuring 12’ ceilings, a gas stove, and beautifully carved bed offers a welcome retreat after a day full of exploring iconic Newport. 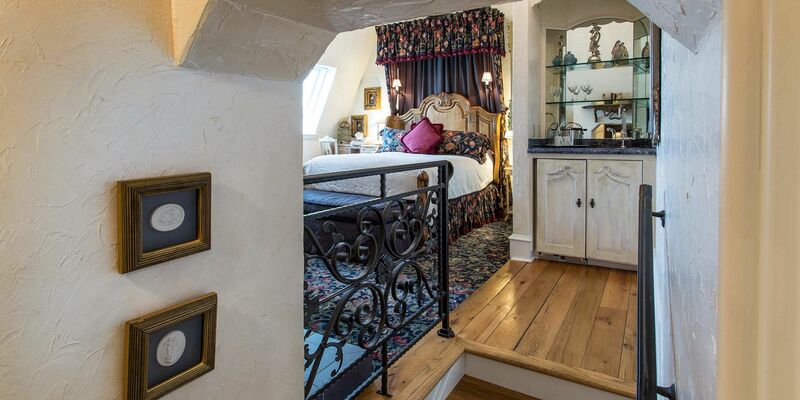 Enjoy private Cliff Walk accommodations as you enter the cozy bedroom, several steps above the foyer. 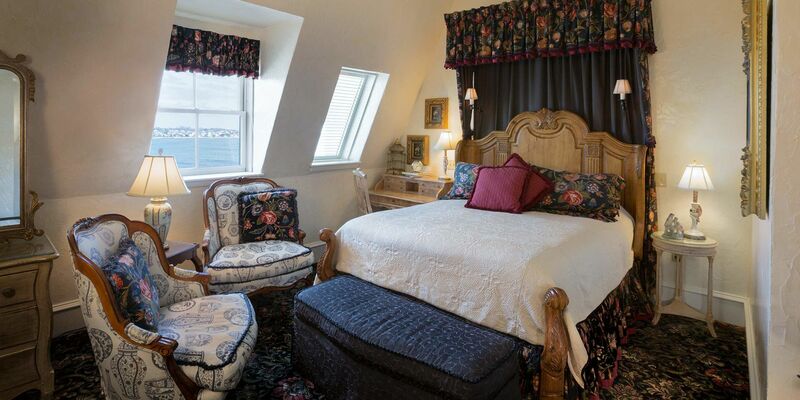 The French Provincial Room is located on the third floor and requires climbing two flights of stairs. Please note: The Chanler does not have an elevator. Relax amongst characteristically provincial charm featuring stucco walls and a crackling, free-standing fireplace after shopping, dining and exploring Rhode Island.